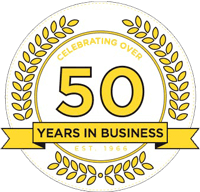 Established in 1966 by Derek Higgins, Higgins Plumbing operated around the Borough of Macclesfield carrying out plumbing works and bringing the first central heating systems to the local domestic and commercial properties. With a strong presence in the area of pharmaceutical companies and research establishments such as Astra Zeneca, Higgins started to provide specialist services to the international businesses in their laboratories and research facilities. From installing kilometres of specialist gases pipework and regulators to chemical wastes in laboratories Higgins Plumbing evolved into Higgins Lab Chem Plumbing Limited building a reputation for high quality workmanship and having superior knowledge in this field. Robert Higgins took over the business from his father in 1993 and is actively involved in the business to this day. Today Higgins operates in several service sectors across the North West and further afield.